Just coming on here very quickly (well, not really, because I spent two hours putting filters on these iPhone pics, emailing them to myself, saving them, renaming them, uploading them … while “multi-tasking” and watching Duck Dynasty! LOL!) 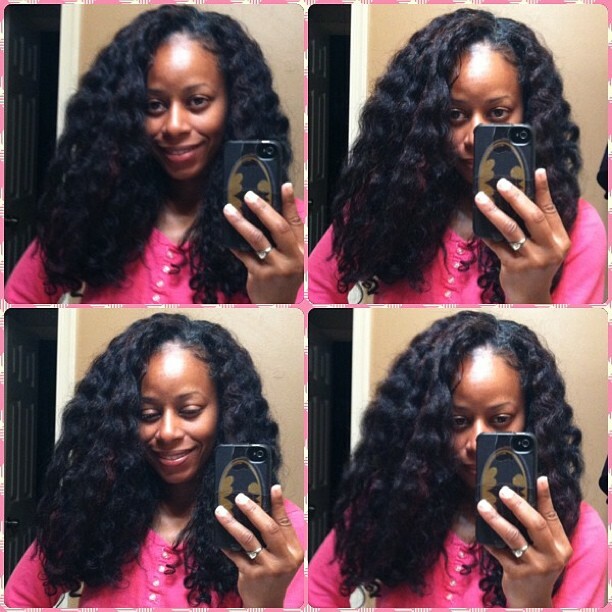 to share how I got these pretty curls, with no additional heat, on my 2 week old flat-ironed hair (straight hair maintenance post coming soon!). Wow … run-on sentence much? 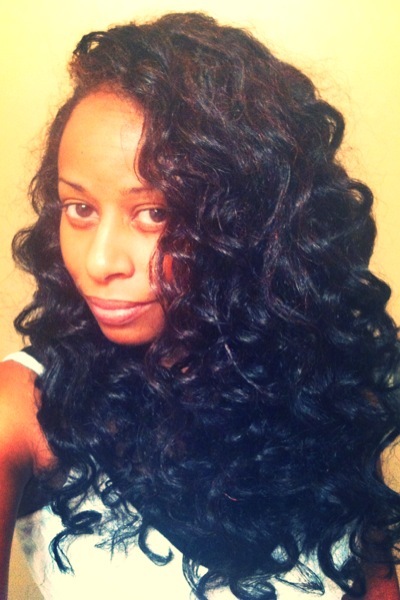 Anyyyyyyyyywho … after debating between using flexi-rod or pin-curls to get some bouncy, heatless curls … I decided on the pin curls, because they wouldn’t disturb my sleep!! I remembered that Chime (aka HairCrush) had done a pin-curl video that I watched a couple of years ago. So, I pulled it up to refresh my memory on her technique. 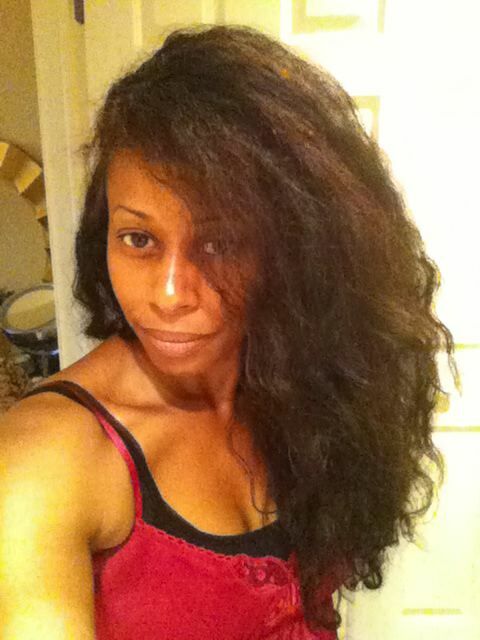 Now, obviously, my process had to be a bit different as my hair was straightened and I would be doing a “dry” set. 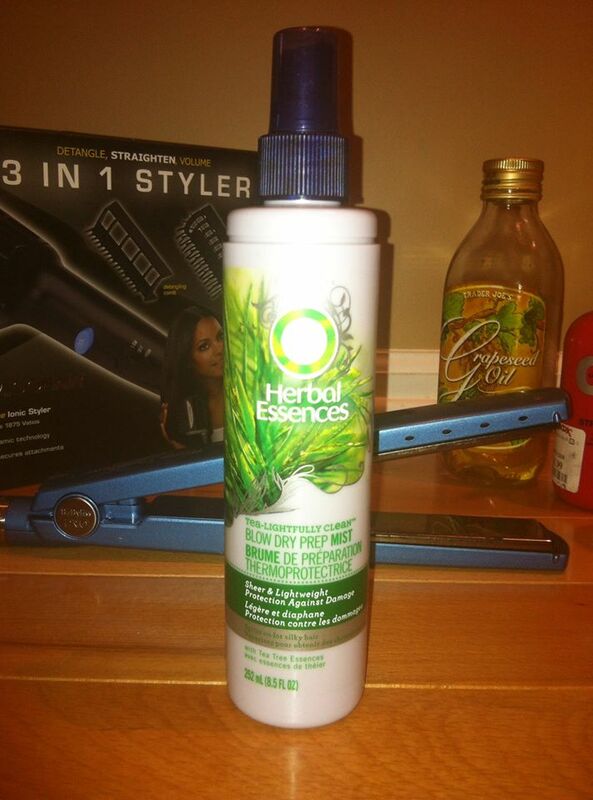 Also, that “scrubbing” of product into her ends that Chime does? 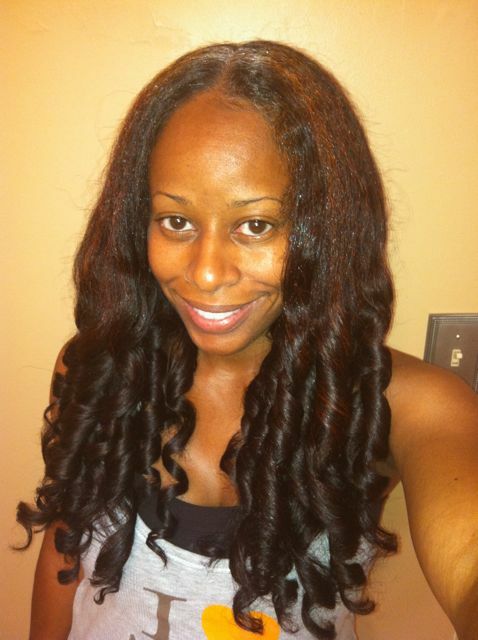 Yeah, her hair is obviously of the GANGSTA variety as my ends would come off in my hands and curse me out if I did that. So, I skipped that part. 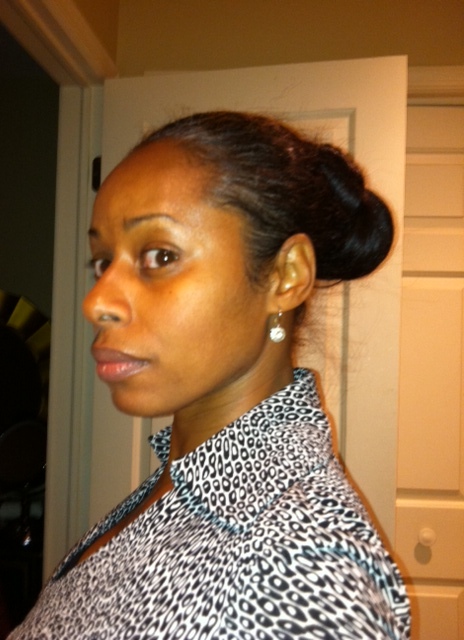 Applied a little Carol’s Daughter Healthy Hair Butter to my edges and tied down with the small square silk scarf. 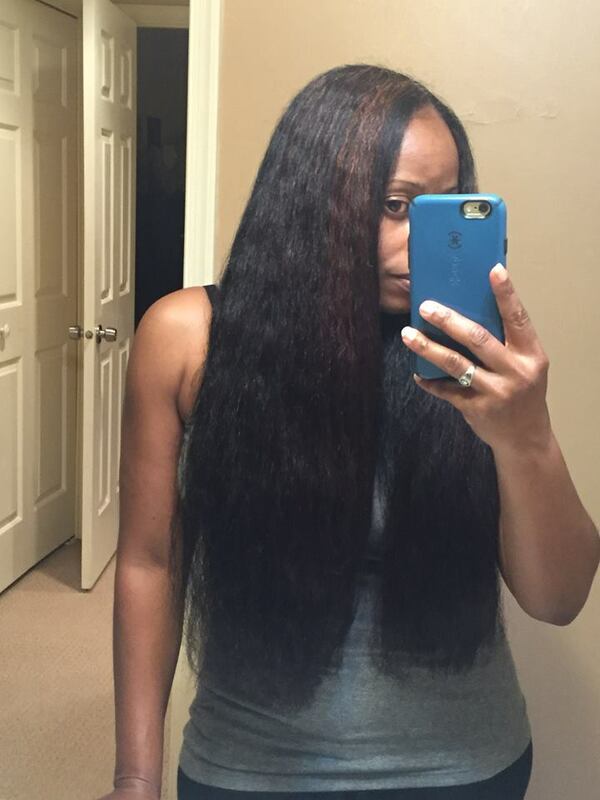 Separated about 1″ wide sections of hair. Rolled the 1″ section of hair around TWO fingers (my forefinger and middle finger), twisting the section about a 1/2 a turn at the same time I made each revolution around my fingers. 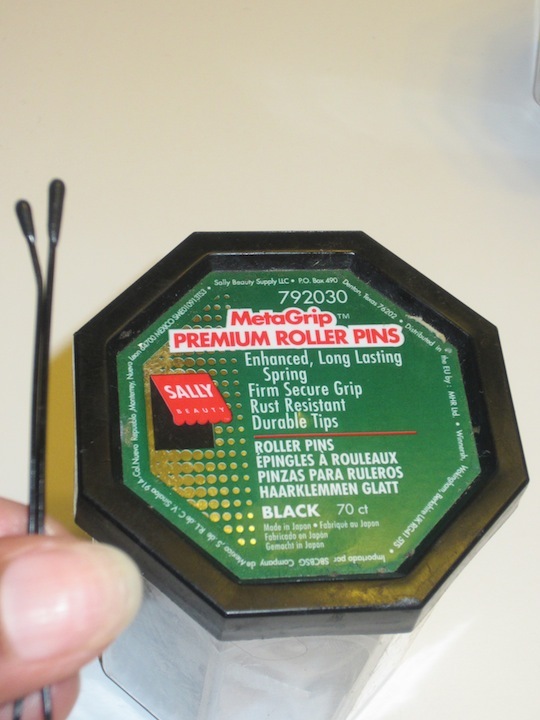 Secured pin-curl flat against my head with a MetaGrip Roller Pin. Repeated process over my entire head (I worked from the front to the back on each side of my head). 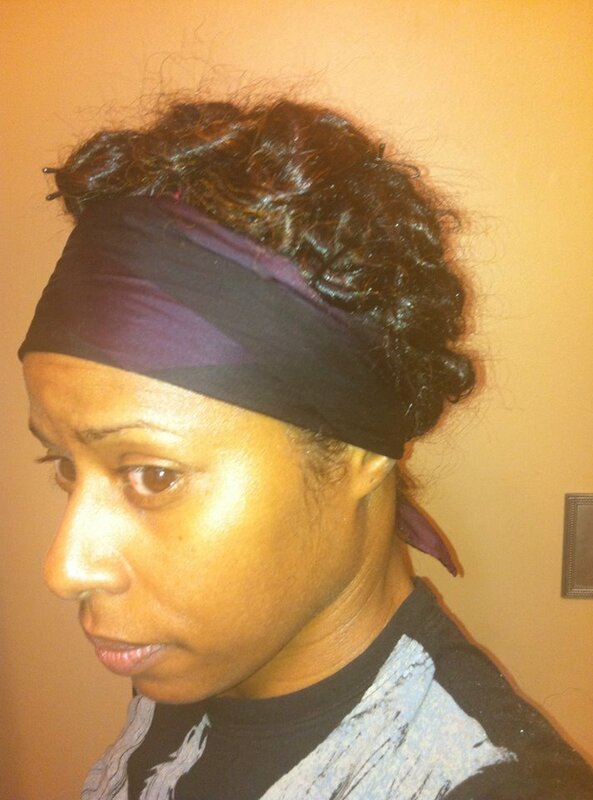 Tied pin-curls down with my favorite EboniCurls satin scarf and hit the sack for a comfortable night’s sleep ;). 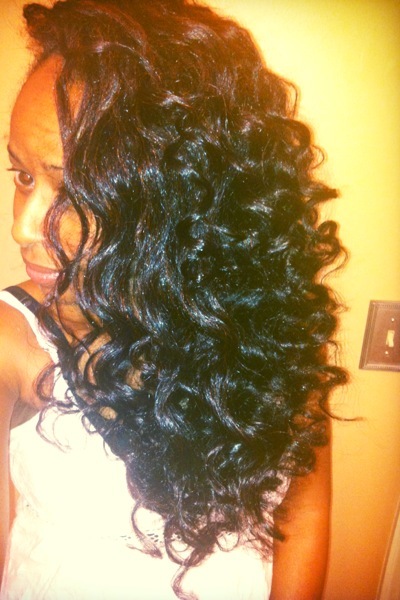 Applied a little SM Raw She Elixir to my hands and unraveled the dry pin-curls. 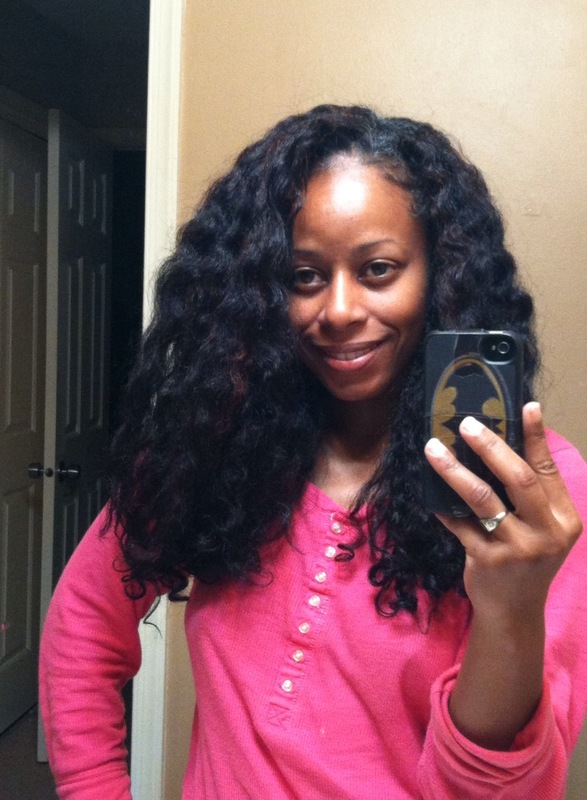 Separated the curls and used a wide-tooth comb to lift the roots to add some fullness. 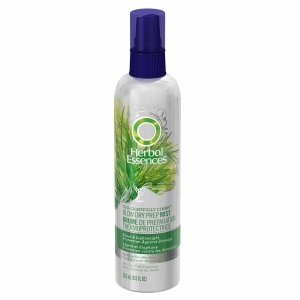 What is your favorite heatless curls technique? Yup. I’m at it again. Still trying how to figure out how to two-strand flat twist correctly, and still not getting it quite right. But, even with my less than stellar installation, the results were pretty good!! I know that I didn’t do them right because I didn’t have two clean sections when I removed them. But … good enough. 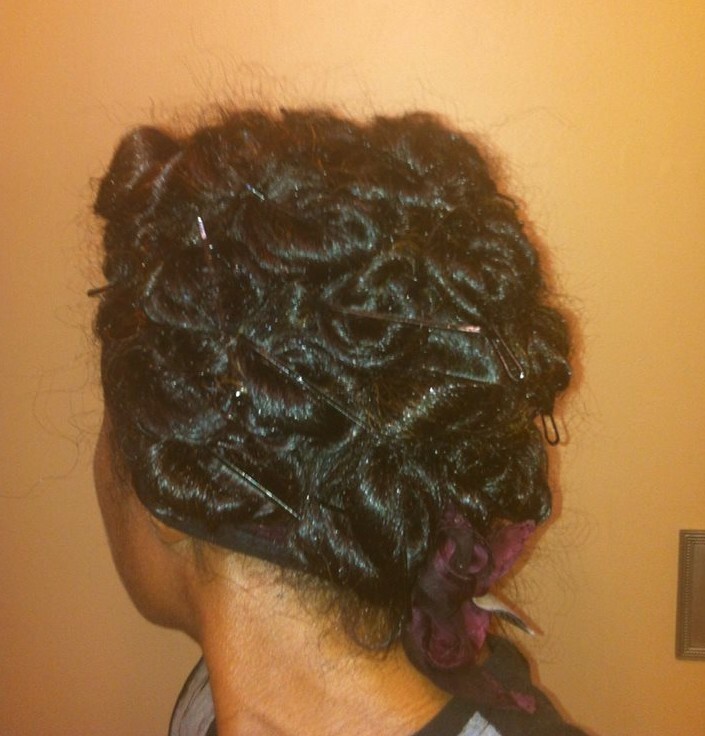 Anywho, the weekend before last, I was going for a wedding day hair trial with Jaded Tresses. 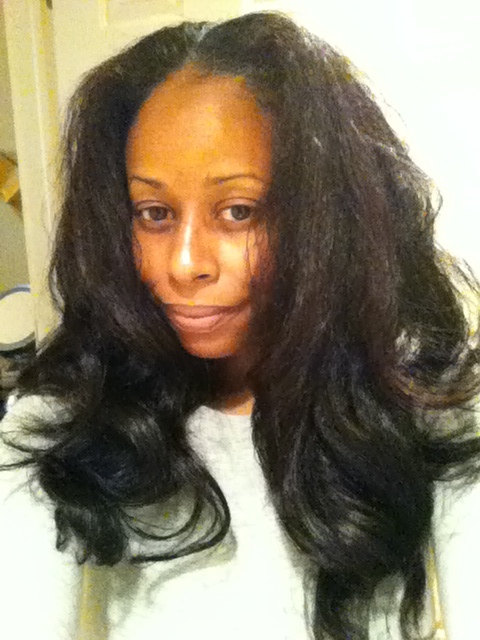 So, I blew out my hair and she lightly flat-ironed it. A couple of days later, I decided to try another NaturalNeiicey (aka PGneiicey) twist out tutorial I’d watched weeks earlier. 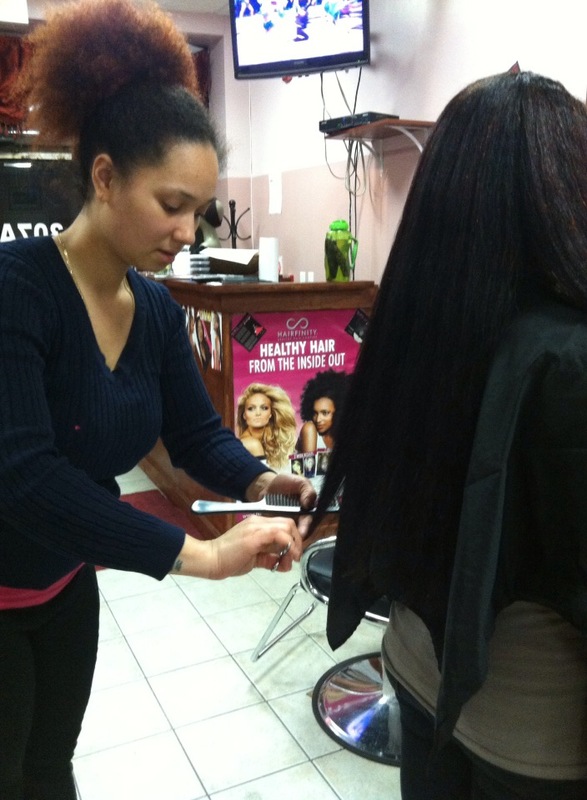 I was just hoping that my hair would look HALF as gorgeous as hers. 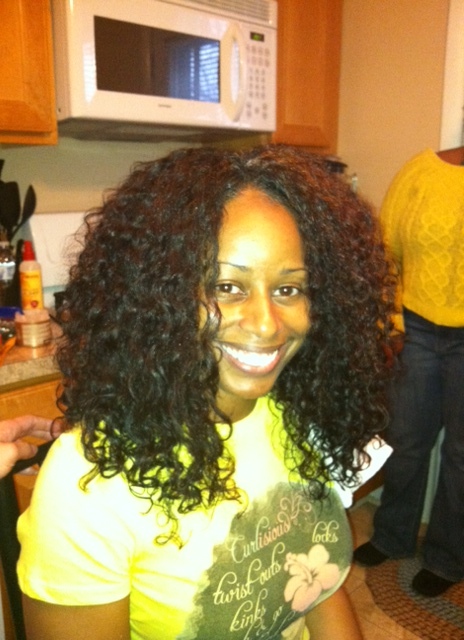 I had blown my hair out over the weekend and used a leave-in, heat protectant, and smoothing cream for that purpose. 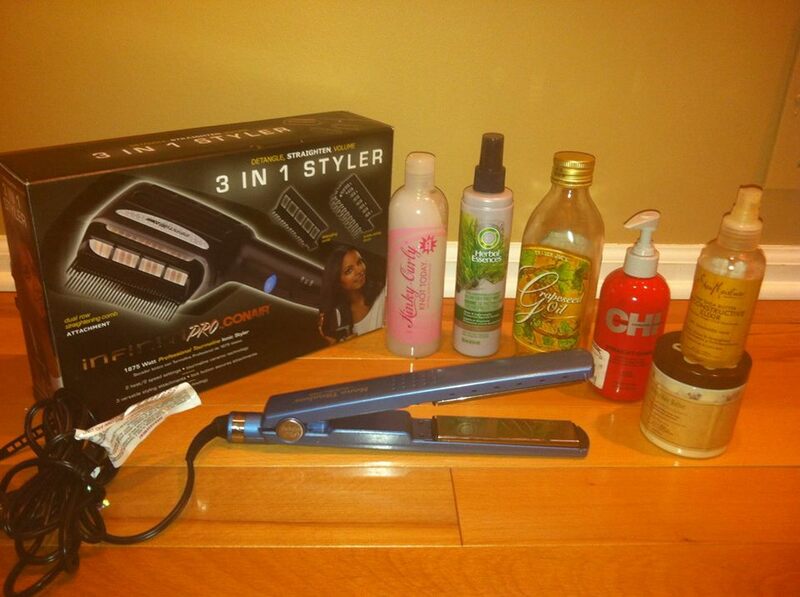 So, when I set it in the twists, I didn’t want to add any additional products to the length of my hair. 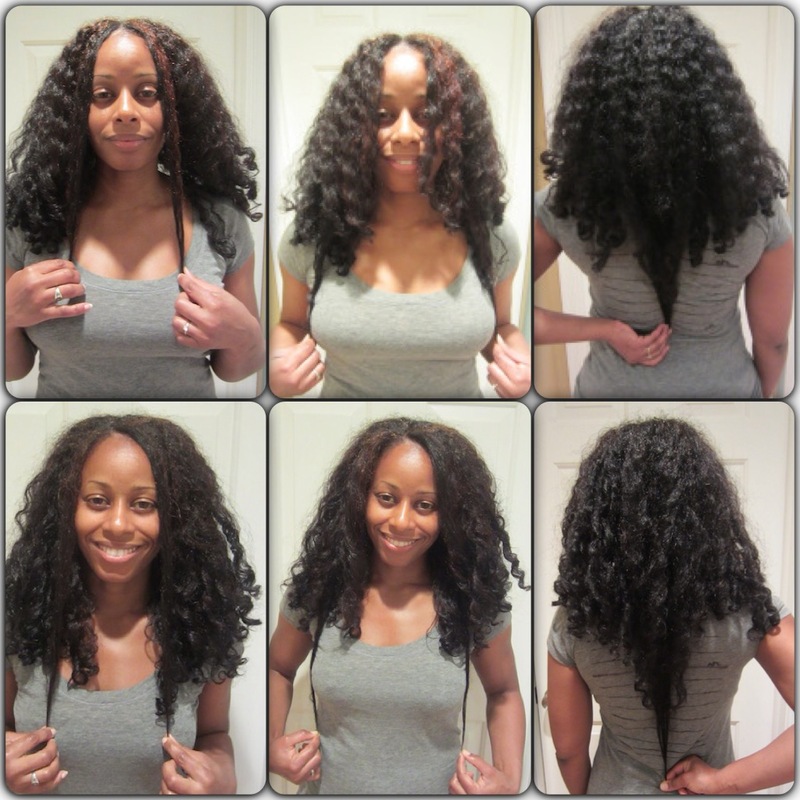 Instead, I just spritzed the twists lightly with water after they were done. 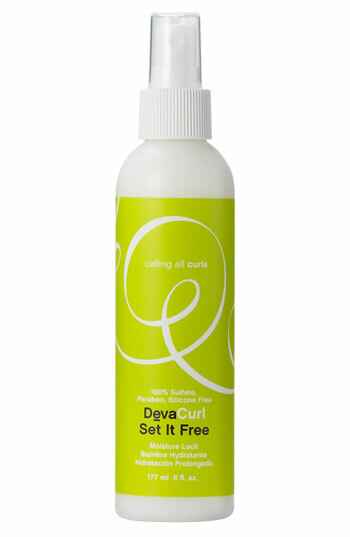 Then, I did use a little Deva Curl Set It Free (my unsung hero) on my ends before setting them on rollers. And, on day 2, I used my good ol’ Soft n’ Free Mold & Hold Wax for edge control. 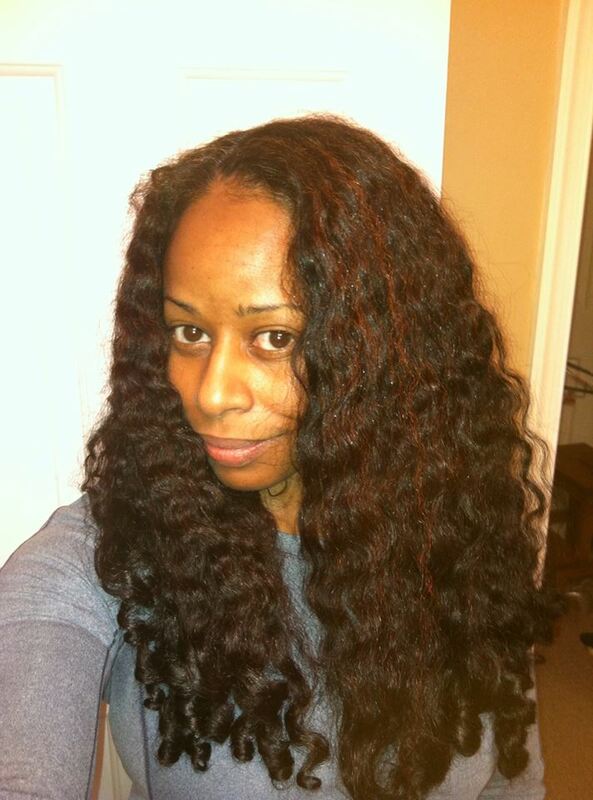 My two-strand flat twists (I set the ends on grey perm rods). I was really feeling my outfit. LOL!! Okay, gotta go get in Day 258 of 365 Days of Fitness (it’ll be a short one because it’s late now). Oh, and I completed Day 58 of 365 Days of the Word earlier this morning. Update on both challenges coming soon!! Do you do blow-out styles? 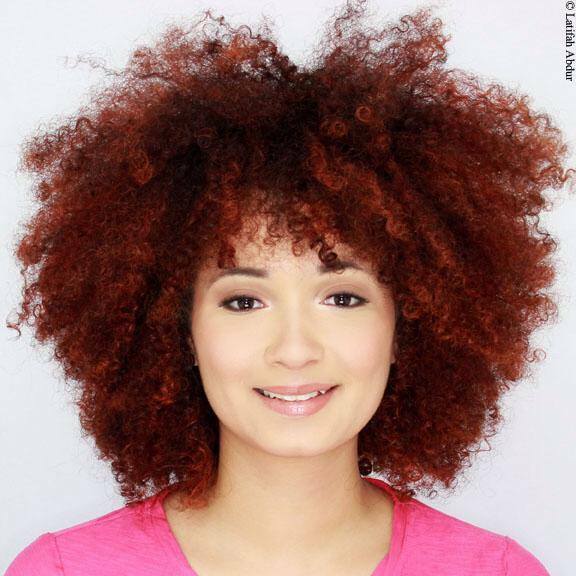 If so, which styles do you prefer the most on blown-out hair (i.e. 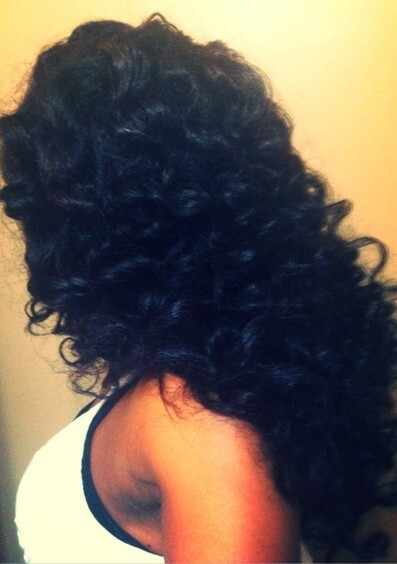 twist-outs, braid-outs, buns, etc.)? Okay, THIS is really is going to be a quick post as I need to work on an article for … wait for it … Carol’s Daughter Transitioning Movement site!! Yup! They accepted a proposal I made for an original guest post and my deadline is tomorrow! Anywho, just wanted share some pics that I’ve shared over on Instagram and Facebook (so, if you follow me there, some of these are old news) and a few impromptu length check photos I had Wei take this morning :). 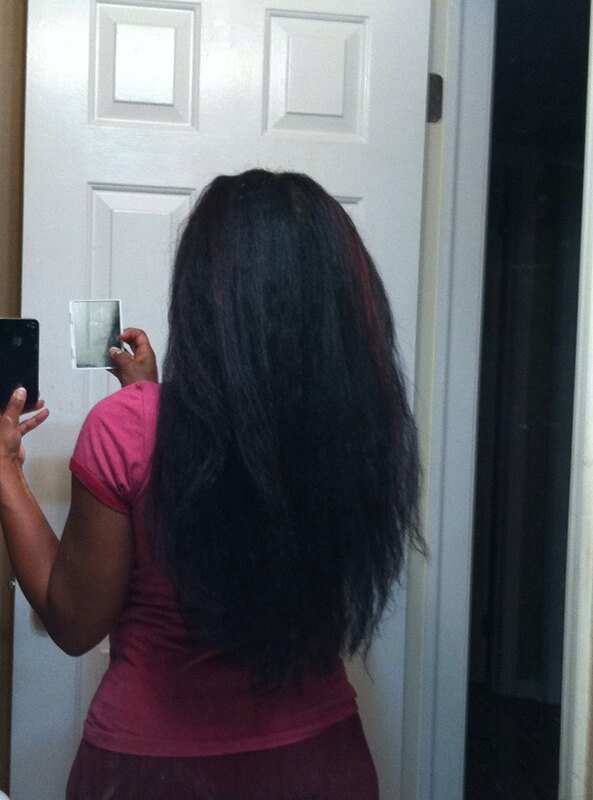 A couple of weeks ago, I flat-ironed my hair (one pass with my Babyliss Pro Nano Titanium flat-iron set at 300°) to stretch it some. 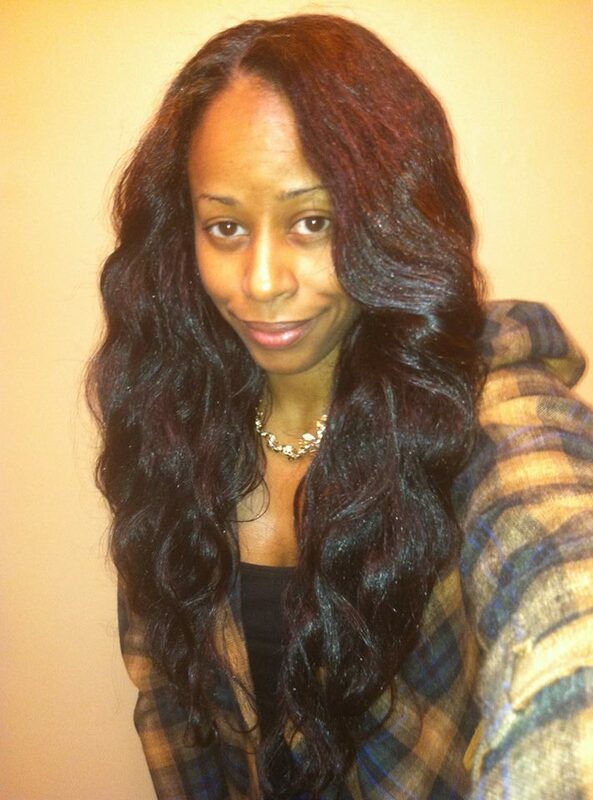 Then I put it into a couple of “Pocahontas” braids for a “beach wave” love. It frizzed up by the end of the day. But, whatevs. That’s ALWAYS been my hair, even when I was relaxed. So, it doesn’t bother me much anymore. Anywho, it looked like I had gained some decent length since my haircut in December (and it’s definitely time for a trim, which I’m getting next weekend). And, since I was thinking about it, I grabbed Wei and had him take a couple of quick, pseudo length check pics this morning. The longest parts in the back have now gone past the lines on my length check shirt! I’ll be back to at least the last one after my trim. 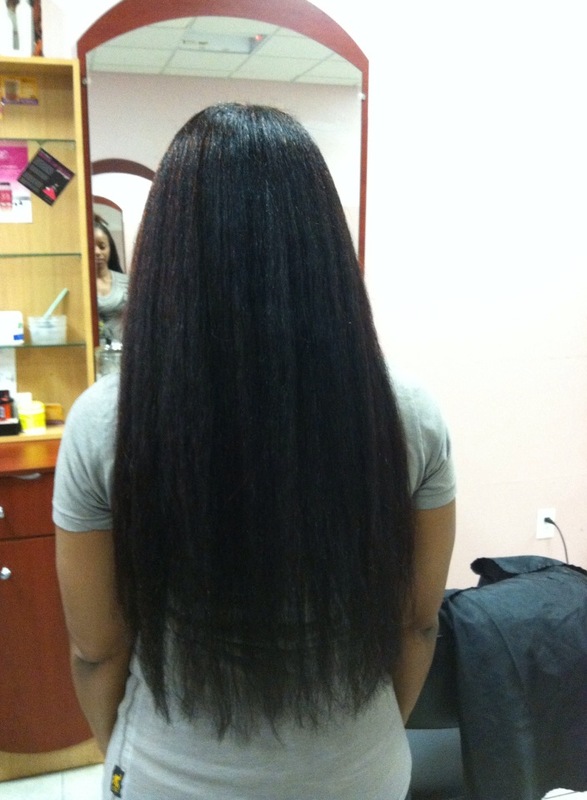 But, on my way to tailbone length! Okay, gotta go! Hope that everyone is enjoying their Sunday/Father’s Day!! A little late, but here is the recap for last week ;). My hair was still straight and I essentially wore it in a twisted ponytail or bun every day except Saturday. 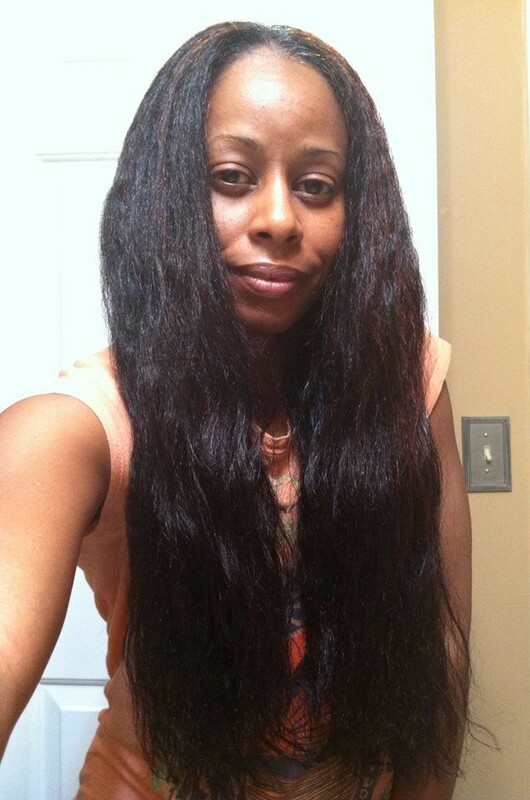 I continued to use Sofn’Free Nothing But Mold & Hold Wax and Carol’s Daughter Healthy Hair Butter to keep my edges smooth and Shea Moisture Raw Shea Butter Reconstructive Elixir for softness and shine. 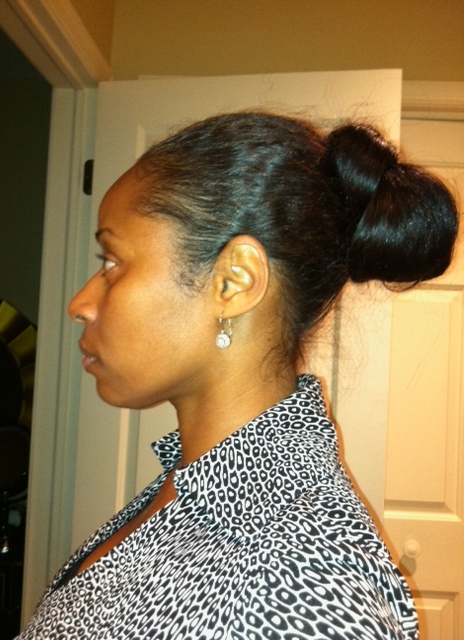 On Wednesday, during a late evening at work, I created this bun by wrapping a twisted ponytail around the hair elastic, tucking and pinning the ends, then spreading the twist a little to cover the elastic in the middle and securing the hair with another hair pin. 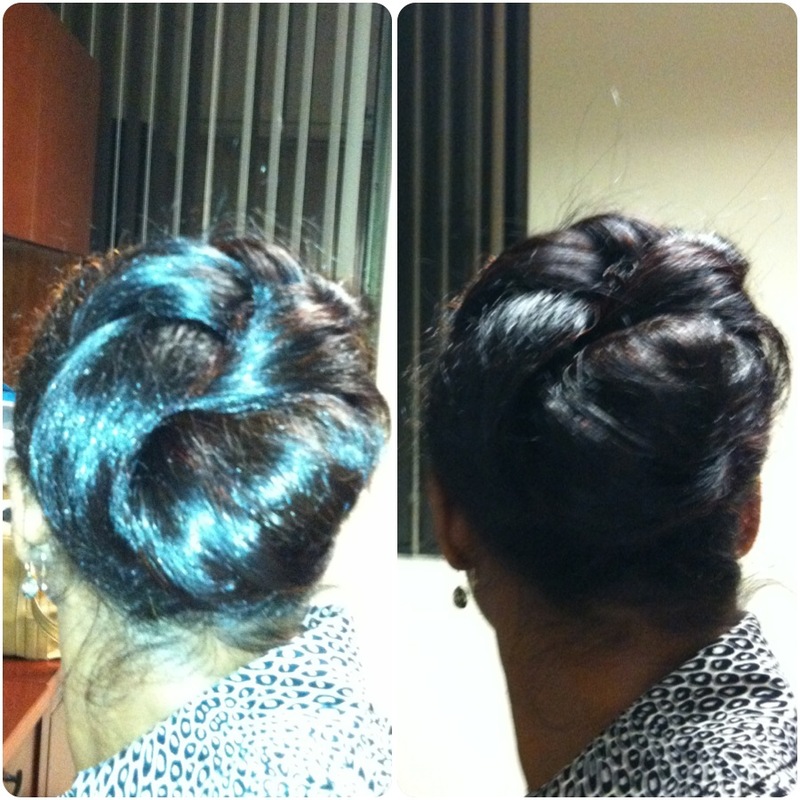 I was so pleased because it looked so intricate from behind, but was so simple and easy to do!! On Friday evening, I arrived home to a LOVERLY surprise!! 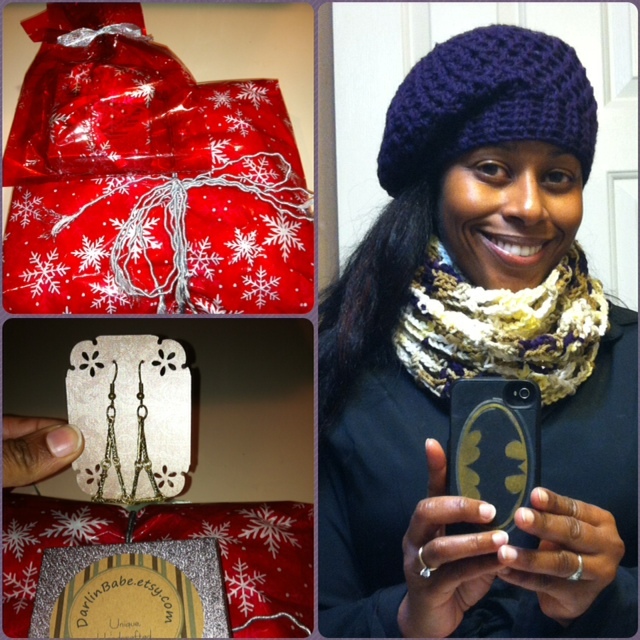 My wonderful Dottie of Threadmill made me earrings and a beautiful hat and infinity scarf set for Christmas!!! 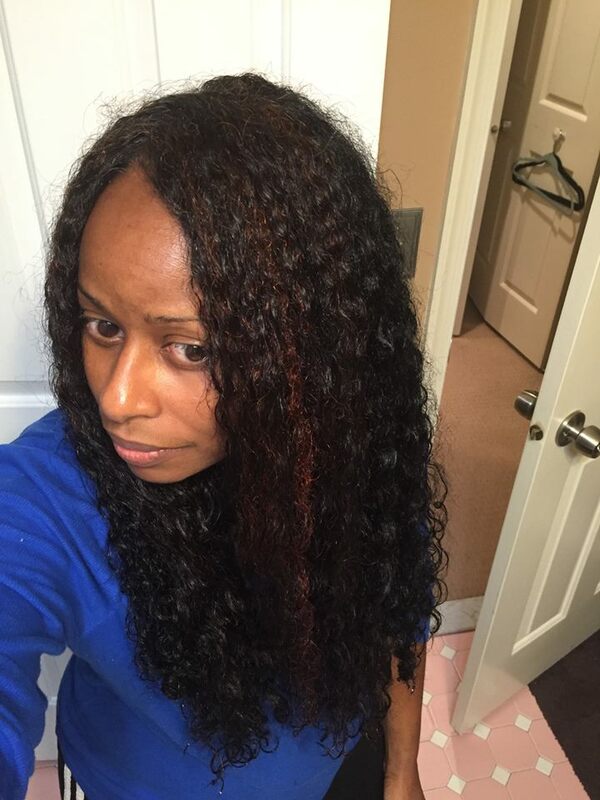 You see, her shop and satin-lined hats (which was a suggestion I gave her last year to appeal to her natural-haired clientele), were featured in Essence online’s article, The Ultimate Natural Hair Bloggers’ Gift Guide. There are some great gift ideas in this gallery, including Dottie’s hats, of course!! Okay, back to hair. 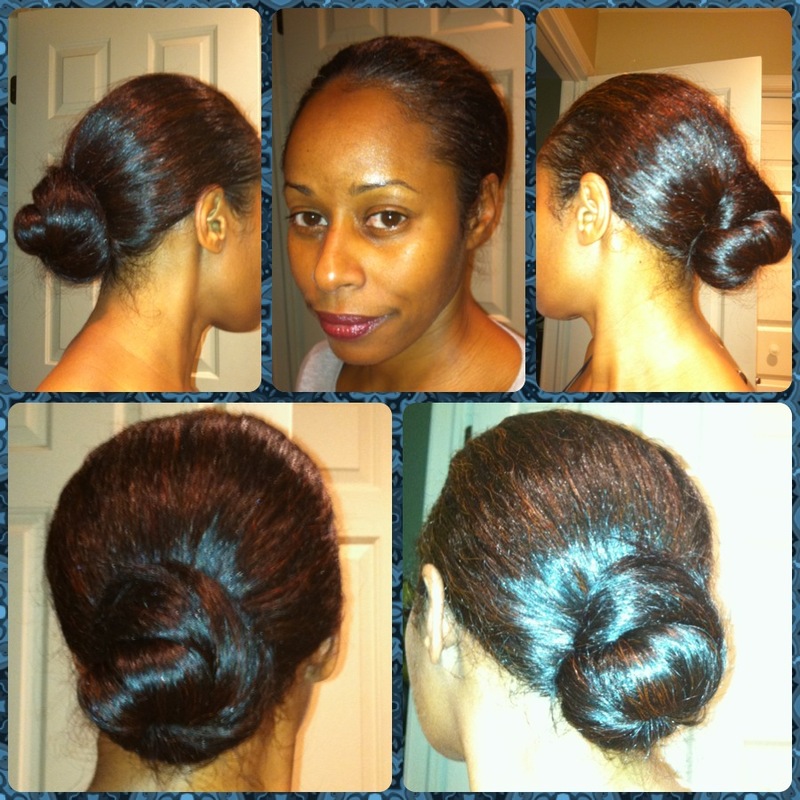 On Friday evening, after wearing my hair in another twisted ponytail during the day, I it into a chignon. I slept in the bun and on Saturday in the early afternoon, I released it with plans to put my hair back into a high ponytail for an event … only to discover the prettiest waves I’d gotten from an overnight bun yet!! They were so deep, full and shiny … I was very pleased … except, I still had to get in the shower!! Ughh!!! 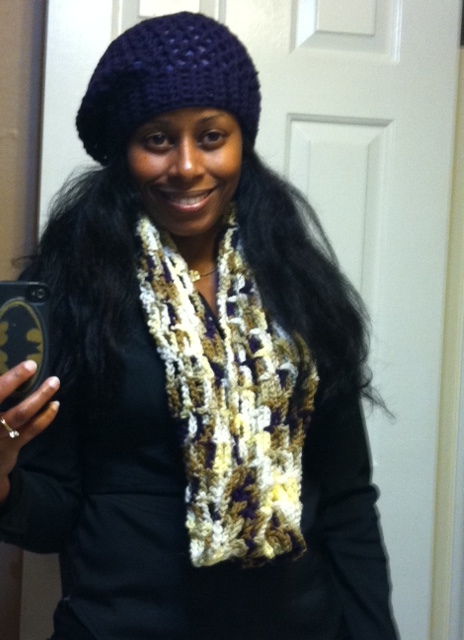 But, I just clipped up my hair, threw on a satin-scarf and my terry-lined shower cap and got it done. The waves did fall a little from the confinement, but it held up pretty decently for the next part of the recap!! Ughhhh. Yea. I didn’t work out at all last week :(. It was a rough week at work and I was at the office as late as 8:30 pm one night and didn’t get home until 7:30 pm most nights last week. And, although I didn’t eat horribly during the week, can’t say the same for the weekend. 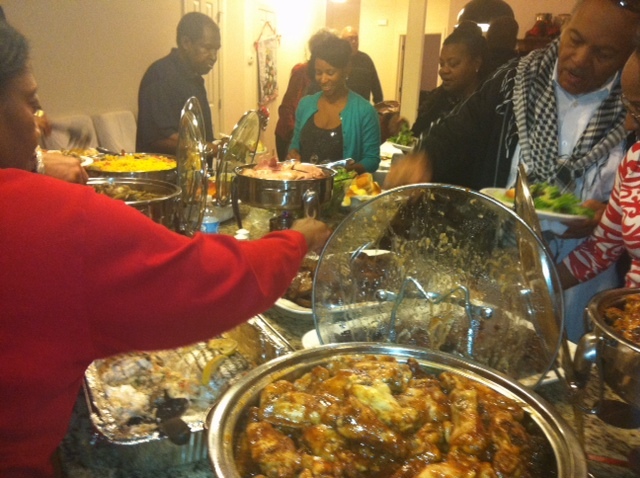 You see, we had a family holiday dinner on Saturday and the spread was RIDIC!! Gallery pics jacked from courtesy of my sister, Shana ;). So yeah, completely fell off the wagon and need to get back on it *sigh*. Oh … yeah … and you might want to know, a few other ladies and I got Jaded this past weekend!! But, I’ll have to tell you more about that tomorrow ;)! 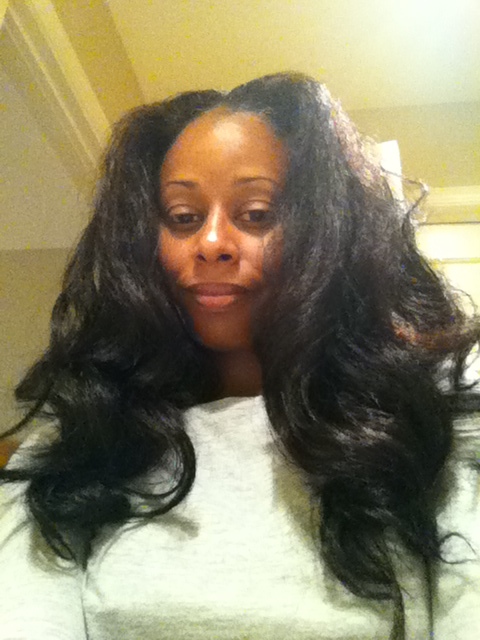 So how are you ladies wearing your hair for your holiday lunches, brunches, dinners, parties, events, etc. ?